Features: Online Appointment Booking system for referral doctors and patient’s self service – We also produced the video montage and Voiceover. 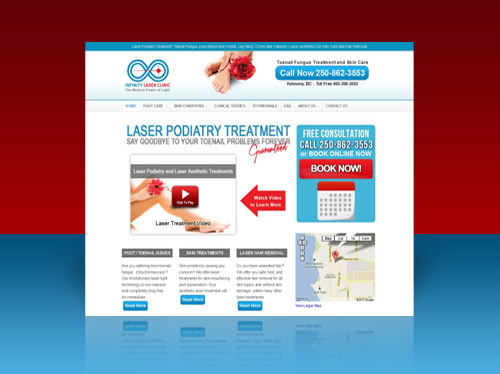 The Infinity Laser Clinic website was designed for conversion of visitors to booking free consultations online or by phone for laser treatments for toenail fungus, laser hair removal and laser skincare treatments. © 2002-2016 VARiZE Marketing Inc. All Rights Reserved.